IMCS Gaylord Vacuum Wands make unloading powders or pellets easy. There are three models available. 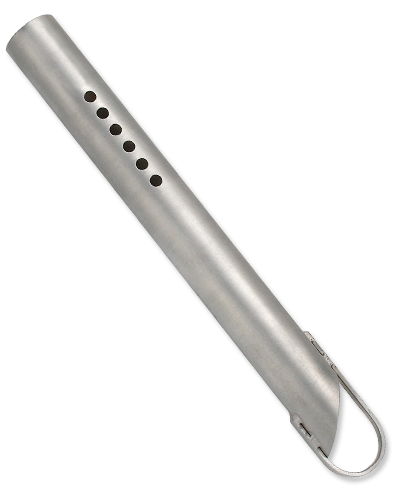 The Basic Model which is aluminum construction and includes six air register holes and stand off loop at the bottom. The Standard Model is aluminum construction and includes an adjustable air register ring and stand off loop at the bottom. The Deluxe Model is also aluminum construction and includes an adjustable air register ring, stand off loop, operator handle and cam and groove coupling. All models are also available in carbon steel and stainless steel.